The New Welsh Writing Awards 2017, run by New Welsh Review in association with Aberystwyth University and AmeriCymru has two new categories, the Aberystwyth University Prize for Memoir and AmeriCymru Prize for the Novella. Now in its third year, the Awards were set up to champion the best short-form writing in English and has previously run non-fiction categories with the WWF Cymru Prize for Writing on Nature, won by Eluned Gramich in 2015 and the University of South Wales Prize for Travel Writing, won by Mandy Sutter in June 2016. New Welsh Review editor Gwen Davies judged both categories with the help of students from Aberystwyth University. The Novella Prize shortlist was co-judged by Welsh-American writer David Lloyd. David is the author of nine books including poetry collections and novels, and directs the Creative Writing Program at Le Moyne College in Syracuse, NY. The Awards are open to all writers based in the UK and Ireland plus those who have been educated in Wales. The AmeriCymru Prize for the Novella is also open to writers based in the US and Canada. New Welsh Review editor and prize co-judge, Gwen Davies, presents the New Welsh Writing Awards 2017: Aberystwyth University Prize for Memoir and the Americymru Prize for the Novella. Picture research, producing and co-editing by Tomos Radford, edited & directed by Aled John. Research, script, co-production & presentation by Gwen Davies, with additional research & presentation by Meher Shiblee, Ashley Joy Owen, Suzy Ceulan Hughes & Fo Orbell. New Welsh Review's multimedia programme is sponsored by Aberystwyth University. Gwen Davies has been editor of New Welsh Review since 2011. She has worked as creative editor at publishers including Parthian, and founded the imprints Alcemi and New Welsh Rarebyte. As a literary translator her titles include Robin Llywelyn's White Star (Seren Wen) and two of bestseller Caryl Lewis' novels, Martha, Jack & Shanco (Martha, Jac a Sianco) and The Jeweller (Y Gemydd). 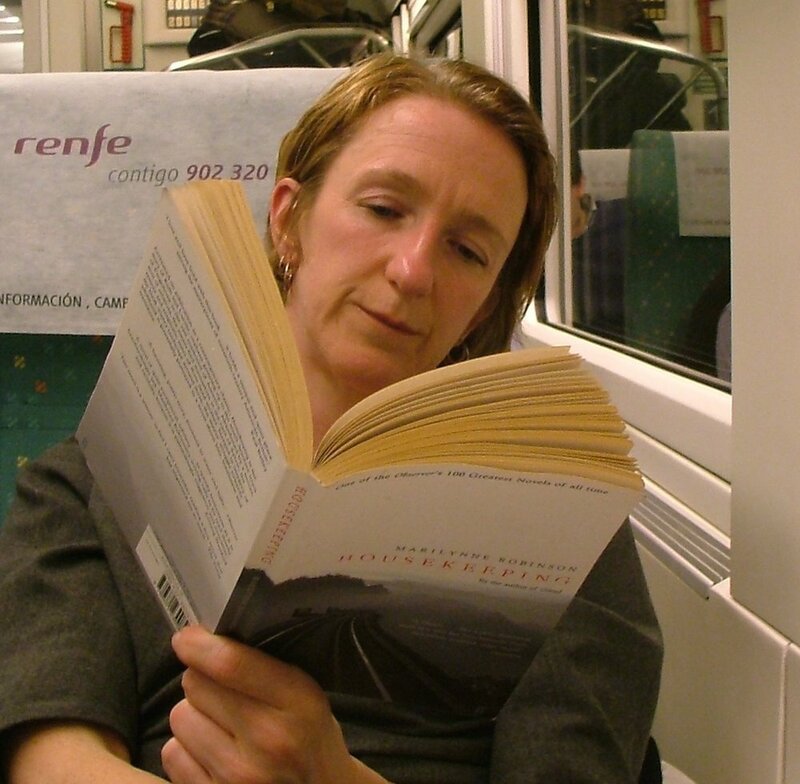 She has also been a Literature Officer at the Arts Council of Wales, a member and Chair of Literature Wales' Writers' Bursaries Panel for seven years, represented literature for the Arts Council of Wales' Creative Wales Awards and has been a writers' mentor, both privately and for Literature Wales. She has been co-judge for the New Welsh Writing Awards since its inauguration in 2015, and in 2017, as well as being co-judge for the novella category, will be sole judge for the memoir category. She grew up in a Welsh-speaking family in West Yorkshire and now lives in Aberystwyth with her family. David Lloyd was born in the Welsh-American community of Utica, New York and now teaches at Le Moyne College in Syracuse, New York state. He is the author of nine books, including Boys: Stories and a Novella and two poetry collections, The Everyday Apocalypse, and The Gospel according to Frank. He edited The Urgency of Identity: Contemporary English-Language Poetry from Wales, and in 2000 received the Poetry Society of America’s Robert H. Winner Memorial Award. In 2001 he was a Fulbright Distinguished Scholar in residence at Bangor University, Wales. In 2016 he received the M. Wynn Thomas Award for outstanding academic work in the field of Welsh Writing in English for his essay 'Brenda Chamberlain and American Modernism'. His fiction and poetry have appeared in numerous journals including Crab Orchard Review, DoubleTake, New Welsh Review, Poetry Wales, and Planet. For information about the Awards please contact Megan Farr at marketing@newwelshreview.com. If you would like to subscribe to the magazine (subscription starts at £16.99/year), or find out more about New Welsh Review, visit www.newwelshreview.com.